Click on any image on this page to display it in larger size, then use the back (arrow) button in the top left of the screen to return to this screen. 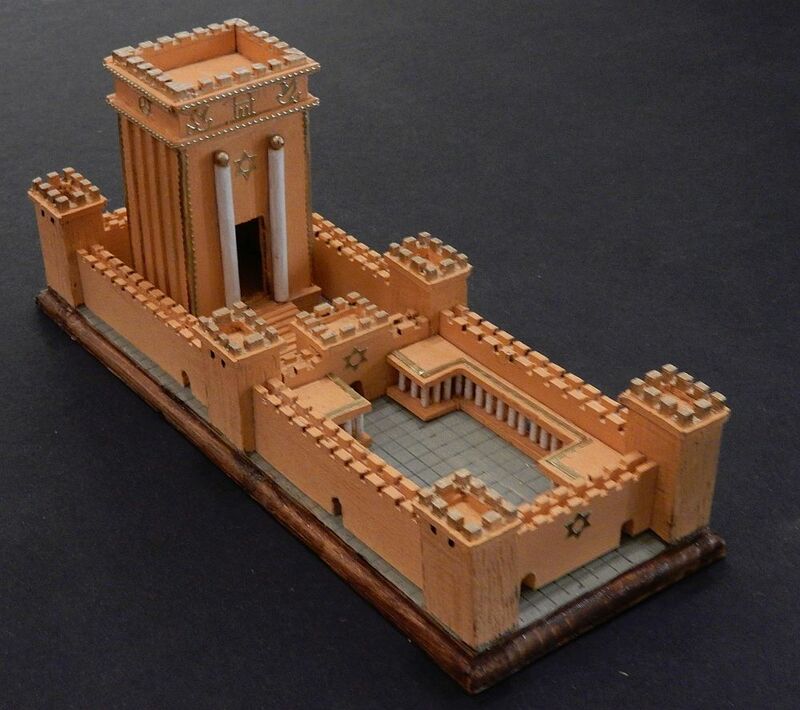 A model of King Solomon’s Temple, Temple Mount, Ancient Jerusalem made by W Bro Ken Garner PPrGSuptWks. 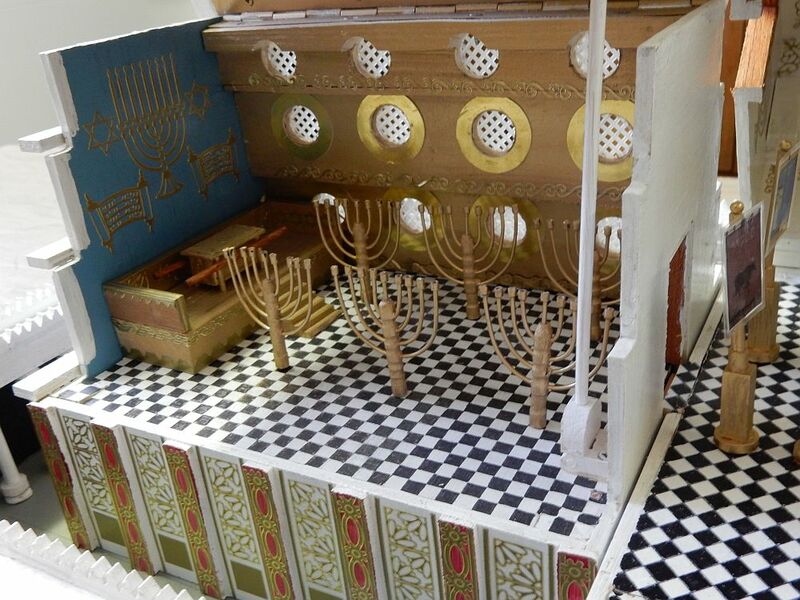 The Hebrew Bible states that the Temple was constructed under Solomon, King of the United Kingdom of Israel and Judah. 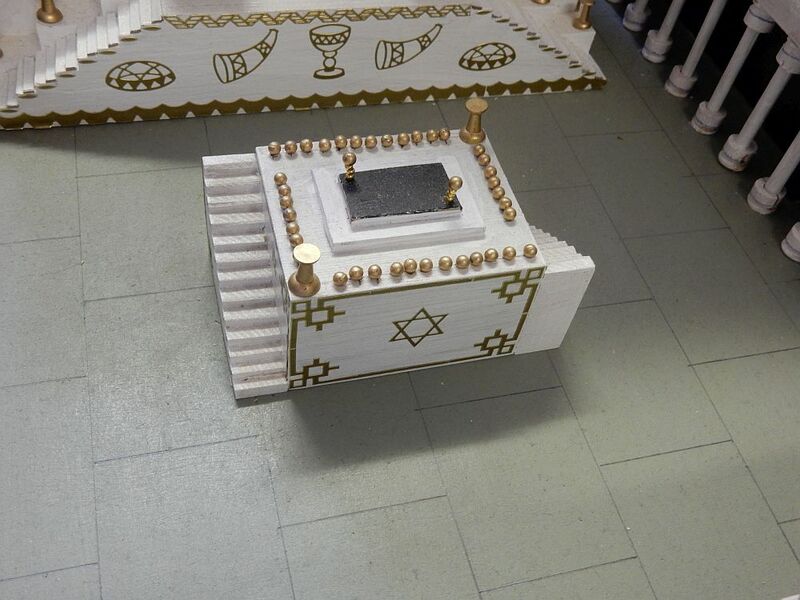 The Temple was dedicated to Yahweh and is said to have housed the Ark of the Covenant. 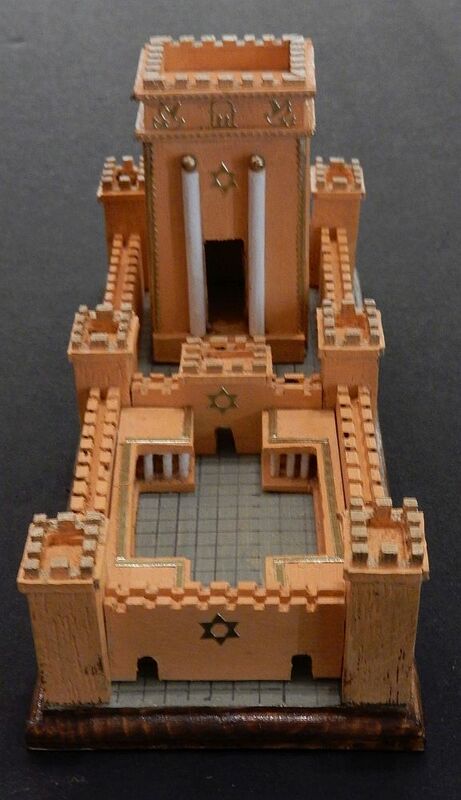 Rabbinic sources state that the Temple stood for 410 years and, based on the Second Century work of Seder Olam Rabbah, construction was placed at 832 BCE and its destruction by Nebuchadnezzer II in 422 BCE. 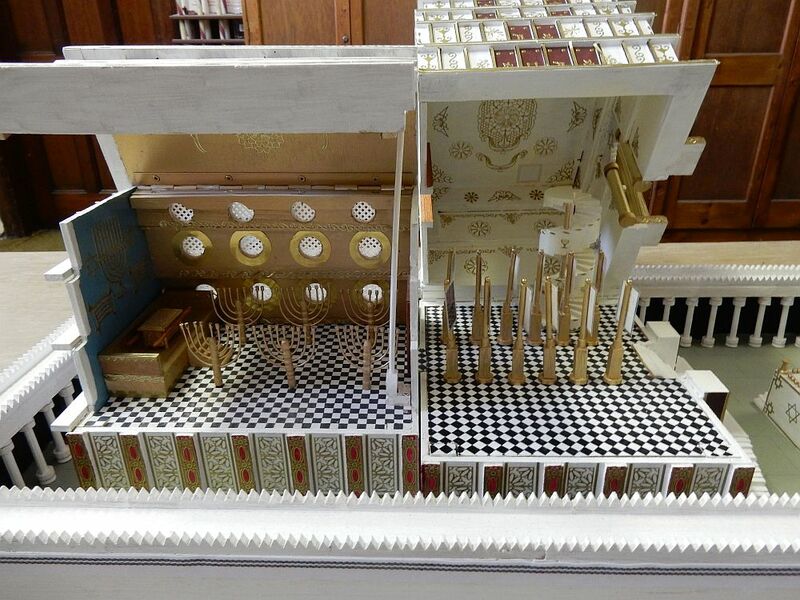 The model Temple opened to show the interior. 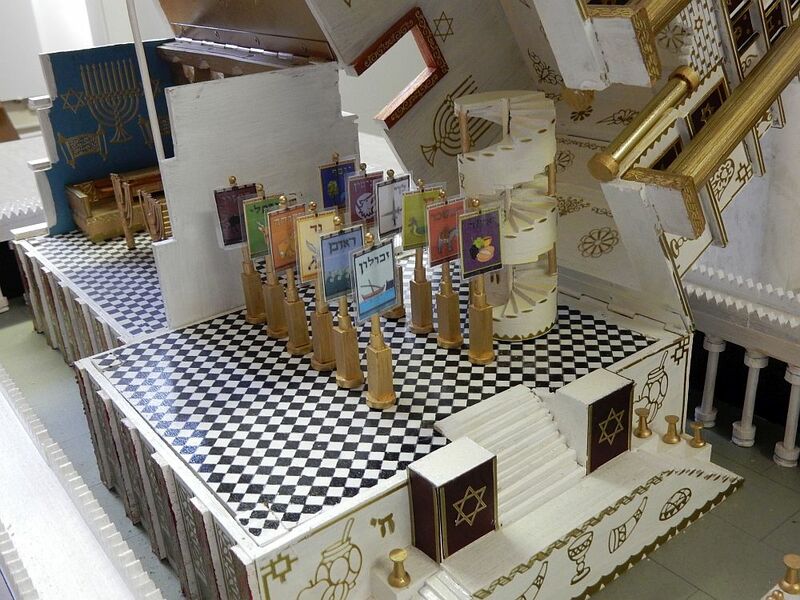 Detail of the Temple interior showing the banners of the twelve tribes of Israel and the winding staircase. 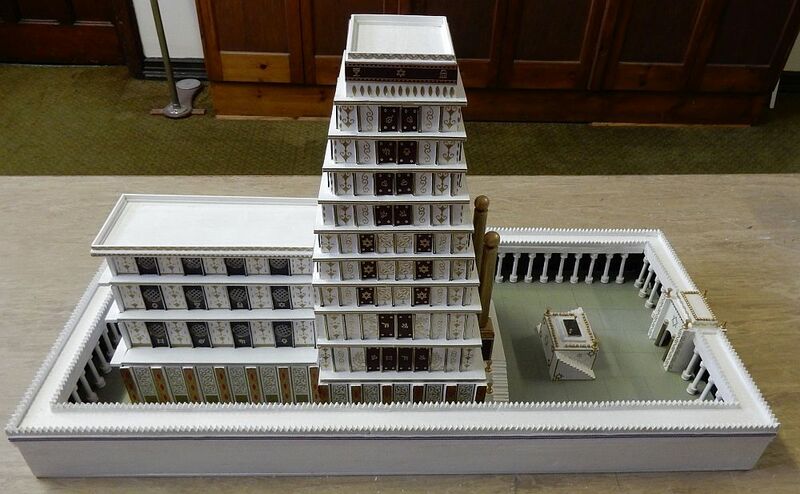 This small model of the Second Temple at Jerusalem was made by W Bro Ken Garner PPrGSuptWks. The second Temple was constructed following the succession of Cyrus the Great of the Persian Empire in the second half of the 5th Century BCE.